My name is Sonia Hazard. I have been a Nationally Certified Massage Therapist for 14 years this coming spring. 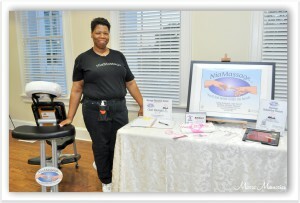 I own NiaMassage, LLC, a mobile Massage Therapy company in the Metro Atlanta Area. I also make my own self-care comfort products at the NiaMassage Relaxation Station on Etsy. Working in several settings for 10 years helped hone and craft the company that I’ve created in January, 2011, NiaMassage, LLC. ‘Nia‘ is Swahili for ‘Purpose‘, one of the seven principles of Kwanzaa. 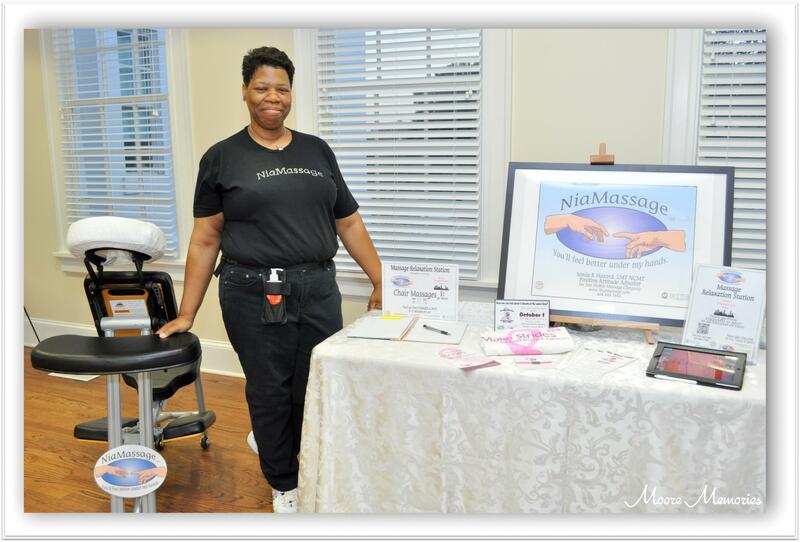 NiaMassage, LLC is a Mobile Massage company that provides affordable seated massage at your workplace or event, and On Site Table Massage strictly by referral only. The ability to travel to workplaces eliminates the stress of the drive to the spa on the part of the client, and creates an oasis of calm in an otherwise hectic day. On Site Table Massage is offered strictly by referral eliminates uncomfortable, unfamiliar interactions between the client and therapist. With a decade and a half of experience, Sonia brings an educational yet nurturing approach to all client massages. Tailoring each session to the needs of the client, she strives to make each session a personal and effective experience. She is passionate about what she does — empowering the masses to take care of themselves as well as others. Whether you’re in need of a relaxing Swedish massage or an invigorating Sports Therapy massage, or if you need to feel rested and relaxed, or a massage to prepare for running a marathon, Sonia’s got the perfect touch for you. You truly will feel better under her hands. I am looking to utilize my knowledge and expertise with Massage Therapy to help reduce stress and improve productivity! I have had success in working with various clients, ranging from simple relaxation massage, to treatment work in the shoulder girdle, neck, hips, lower back, arms and legs. I have volunteered from 2002 through 2004 in the Boston Marathons and TeamWalk for Cancer Care in Lowell, MA, at the Tsongas Arena. I am currently raising monies for the Making Strides for Breast Cancer walk at Atlantic Station in Atlanta. I am a member in good standing with ABMP (2001-2004, Massachusetts) and AMTA (2004-Present, Georgia) and with NCBTMB since 2001. Classes covered- General Health, Ethics, Client Comfort and Safety, Client Draping, Universal Health Precautions and Contraindications, Treatment Methods and Practices, Human Anatomy & Physiology, Kinesiology, HIV and First Aid Training. Assessing clients’ problems of Range of Motion (ROM) and addressing true issue. 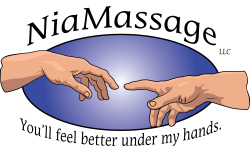 Providing effective massage therapy techniques in various environments in a finite amount of time. Relaxation and Treatment work on various clientele, ranging from 5 minutes to 1 hour. Setup and maintenance of work area, and establishing a rapport with clientele. Ability to handle money, record sales, and keep an even drawer. Suggest stretches for clients to use in Activities of Daily Living to reduce recurrence of problem areas. Explain issues of pain to clients plainly to bring attention to posture and habit. Suggest stretches to help improve ROM in affected areas. Building rapport with clientele to encourage using Massage Therapy at event. Keeping track of scheduled clients, recordkeeping. Booth Management experience, keeping individual books/banks current. Public Speaking to improve visibility by handing out coupons to Vendors at events. Building rapport with potential clientele to bring business. Ability to work together in teams or alone in varied environments. Learning and Applying Spa Treatments. Performing OnSite Chair Massage, talking to potential clients about the Benefits of Massage. Product knowledge and compatibility with accessories in many departments. Comparative pricing in other retail outlets for similar product. Making decisions about product placement for optimal viewing. Team camaraderie and morale building. Building rapport with customers to improve customer service. Troubleshooting customer’s root issue to supply right product for their needs. Educating customers to understand icons and additional accessories that are needed for each project/product. Creating and retaining clientele for repeat business. Inducing relaxation within the treatment room. Relaxation & Treatment work ranging from 15 to 90 minutes. Bringing in clientele through referrals and Gift Certificates. Relaxation & Treatment work ranging from 15 to 90 minutes on Massage Chair and Table. I am looking forward to taking classes in KinesioTape Therapy, Aromatherapy and Myofascial Release Techniques. Over 800 hours in-class experience. Able to do Treatment and Relaxation therapies. Sports Massage. On Site Seated Chair Massage. 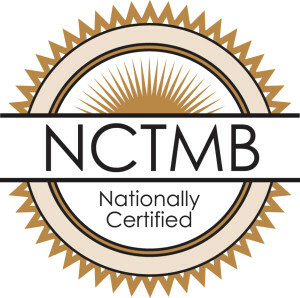 Nationally Certified with NCBTMB since 2001. Member in Good Standing with ABMP (2001 – 2004) and AMTA since 2004.